Aside from being incredibly practical scooters have always brought on feelings of great romance and cool aesthetic. In his book Vroom with a View travel writer Peter Moore chronicled his journey around Italy a vintage Vespa. On the year he turned 40 the acclaimed writer bought a vintage Vespa on e-bay and travelled from Milan to Rome experiencing the Italian country side. Moore appears to have loved his scooter experience so much that all his subsequent travel tales have involved scooters. Whether you picture yourself living out an Audrey Hepburn fantasy or zooming through the streets of Italy in a classic Vespa. Scooters have always been hip. 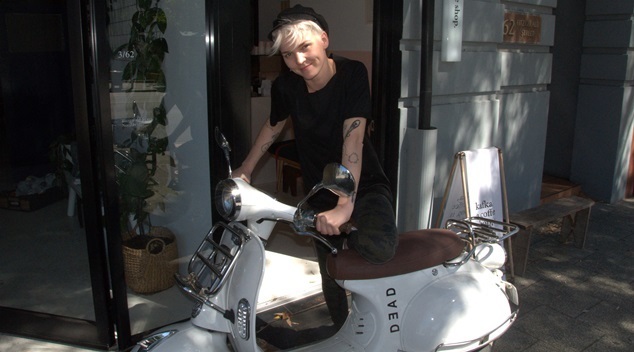 Helen Objartel, co-owner of hole-in-the-wall coffee shop Kafka, developed her love and practical appreciation of scooters when she lived in Taiwan. Helen got her first scooter when she moved to Perth five years ago, and she says there are many advantages to owning a scooter rather than a car. The scooter option is certainly economical. Helen shared that living and working in the inner city she only uses one tank of petrol each week, which costs her a grand total of four dollars. “Plus it’s good for picking up chicks,” Helen laughed. Steve Cooney from Scooter Shop Australia told OUTinPerth that the 50cc models of scooters are very popular because you can drive them on a regular car license and no additional tests are necessary. While many people are attracted to scooters because they’re great for beating traffic and reducing costs Steve said the biggest consideration people should make when purchasing a scooter is what kind of travelling they’ll be doing. For his clients, Steve’s service doesn’t just stop when someone buys a scooter, his clients are also becoming a part of a scooter community. 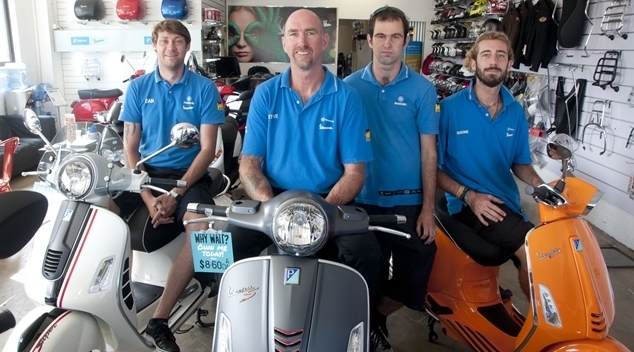 For people who are knew to buying a scooter the team at Scooter Shop Australia also offer an introductory lesson to riding a scooter. “We offer people who are new to scooters the option to spend an hour with an instructor. It’s a great way to learn the basics. We provide the scooter and safety gear. 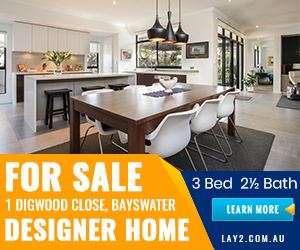 It’s all done in a very low pressure way on the back streets and is designed to build confidence.” Steve said. Find out more about the world of scooters at Scooter Shop Australia at www.scootershop.com.au or drop in and see Steve and his team at 2/95 Queen Victoria St, Fremantle.